The UK Information Commission says it can't bring charges because the offences are over 6 months old but the law actually says within 6 months of " the Commission being advised " and these events fall within these limits. Who is twisting arms to prevent prosecution. Christopher Booker reports. Pachauri, the head of the IPCC is in deep trouble. The latest episode is the revelation that large sums were directed to Teri, his mysterious "research"organisation to investigate the Himalayan glacier claims which were known to be false. Meanwhile the attacks continue as the Daily Mail . Christopher Booker of the Telegraph and the TimesOnLine all weigh in. 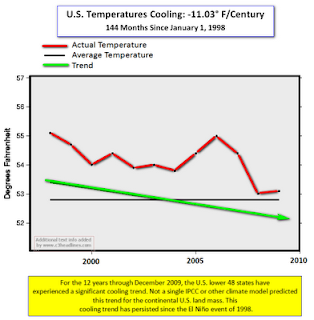 Joanne is a great communicator and succinctly explains how scientifically unsound and illogical the AGW arguments are, even assuming that the temperature data used in the graphs is accurate, which is a leap in itself. Keep up the good work Joanne! Where is an Aussie Pollie with the Cojones to do this? A pithy speech by Godfrey Bloom , UK MEP at the European Parliament. Most of our politicians are too scared to come out of the closet and speak their minds. 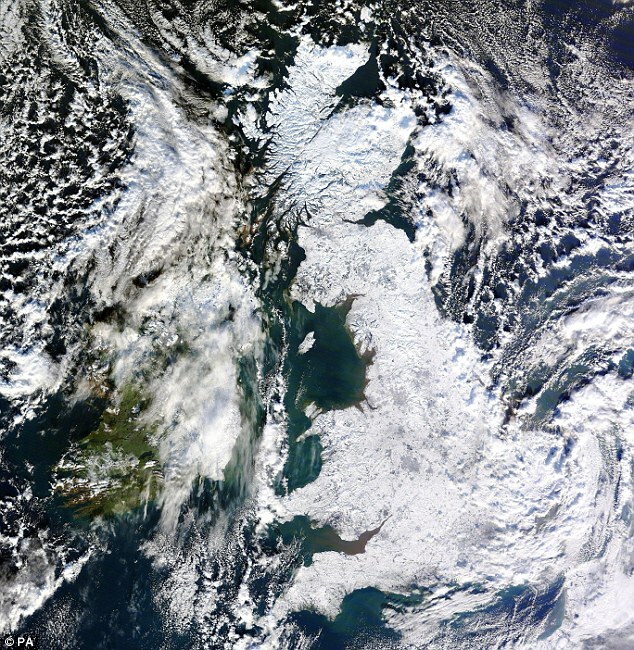 Scientists using selective temperature data, skeptics say. Cherry-picking data can give a Global Temperature warming signal where none or little exists. Canada has 100 temperature stations in the Arctic Circle and the U.S. National Oceanic and Atmospheric Administration (NOAA) uses data from only one - one of the the warmest. 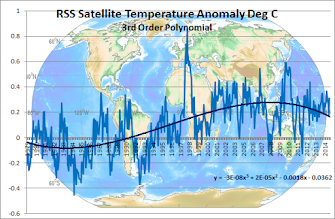 Temperature station selection throughout the world has been biased to show a warmer-than-actual record . The UK is having problems with political correctness in fighting terror. The Muslims claim that the extreme right wing is a bigger danger. I wonder what planet they are living on -how many of the recent train and plane terror incidents were not Muslim related. It is not ethnic persecution to look at the organisations that are preaching violence and producing terrrorists and whose distorted religion says it is a duty to kill non-believers. This insightful letter was writted to the Rockhampton Bulletin and is well worth reading. Having a background in power engineering also I understand completely his point of view. It is great to hear from a power generation insider the real story on power generation and global warming. We should never lose our sense of humour and 13thspitfire , the UK blog shows the way with an irreverent look at world affairs! The IPCC issued a claim in the 2007 Report that the Himalaya glaciers could vanish by 2035 . It turned out that the information came from a poorly-researched article in the New Scientist not from "scientists research". The New Scientist wants an explanation from the IPCC how the speculative article became part of the 2007 Report as fact. 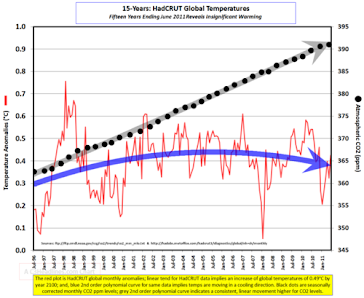 This is another very serious failure by the IPCC showing how ready they have been to use any data to support their agenda. Climategate is not an isolated case andmore and more will be found. This debate will be a ripper . I've seen Plimer in action and Monckton is a legend. I am frankly quite surprised that anyone would be game to step in the ring with them. I guess Andrew Bolt will be there also as he puts the boot into Barry Brook whenever he can. At the Brisbane Hilton on 29th January - Details here. John Coleman's TV Special " Global Warming the Other Side" is in 5 parts investigates the manipulation of data at NASA . Climategate has arrived in the USA. The labrynthine money trails that Richard North has been following in Pachygate has lead to a Kiwi scientistAndy Reisenger who was the recipient of some of the money that had found it's way to TERI. Reisenger has declined to comment. North has promised a major release on Sunday of further investigations. It is nice to see at least one of the Committee overlooking the Waxman Markey Bill is a true sceptic and Lindner sums it up nicely in the American Thinker. It is time to disband the U.N.'s self-serving and serially dishonest climate panel. Officially sponsored environmental extremism is a danger to our national security. The incredible cost of the UK's foray into green power is the subject of Christopher Booker's new article. Over 200 billion dollars is to go into off-shore wind farms which will produce very little power when it is needed most as has been the experience in the current deep freeze. The amount of money being wasted is simply mind-boggling. If the same money was put into nuclear power the UK would have roughly17 to 20 gigawatts of reliable base load power with a fraction of the running costs of wind power and it would be available in horrific winter conditions. The loonies are in charge of the asylum! Coming to a theatre near you - a new hour long movie called Church of Global Warming, a very well done, high quality movie, presented in six parts . It is encouraging to see the skeptical point of view having their own video productions. Full credit to the new Climategate site. would be eligible for social security. His "mild winter" has paralysed the country and looks like getting worse. person would not subscribe to the Global Warming religion and only the great unwashed could possibly be sceptical. The UK industry body, the EEF, points out that over 90% of the €2bn earmarked for the world's biggest wind farm in UK waters – the London Array, off Kent – is being spent abroad . Green jobs are created temporarily but mainly overseas and at a huge cost. There is no mention of the cost of the standby power when there is little or no wind. I guess you would think the world doesn't need a new blog about climate, but it is going to get one anyway. I think everyone who can , needs to do their part to end the silliness. There are so many activists promoting the Warmist cause we need all the help we can get. People are now being subjected to political correctness from first grade as there are no conservative values being taught although conservatives make up half the population.It is no wonder people are misinformed as all the venerable institutions we have trusted in the past for reliable, if boring information are now compromised – our newspapers, national broadcasters , Weather forecasters and scientific organizations such as the CSIRO and finally now our schools. This blog will try to provide current and alternative information to that normally available from the Main Stream Media on a range of topics including Global Warming and so-called "green energy".